Please don’t pick after me! Nothing more than that I can say. I can’t remember being this bad ever in my life. I would say if I was a betting man in Las Vegas I would be crying on my knees. Yet, thank God it is just for fun. What a wacky season this truly has been. Being a Steelers fan is very hard this season to watch, but I live and die as one forever. The members of the 2013 rookie class of the Pittsburgh Steelers have been given a task that most Steelers rookies haven’t in the past. That task was to play as soon as possible. Given their talents they were able to be given starting positions over other talented players. One starter, Vince Williams, has gotten his shot at stardom because Larry Foote is out for the season. 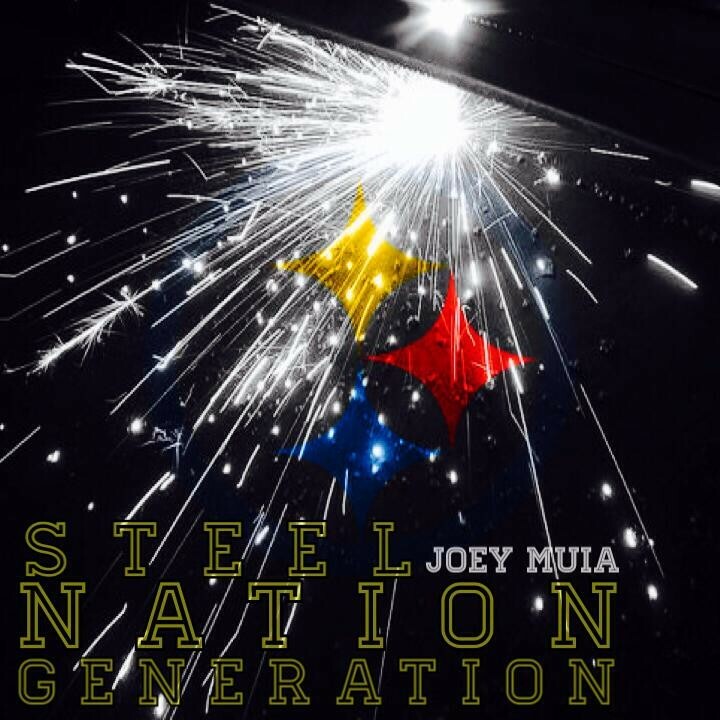 I am not speaking just for myself but for the whole Steelers Nation when I say that we are very proud of this year’s draft class. Thomas’ career high is 7 tackles in the Bengals game and he plays a big part on special teams. Usually, Thomas is the first player that can be seen around the punt returner. I would think Jones has the most Quarterback pressures this season. It seems like every week he has pressured the Quarterbacks. There was one fairly easy sack which he missed against Geno Smith, but later in the game Jones hitting Smith resulted in Timmons’ interception. Against the Bengals, Jones made 7 tackles which is his career high in a single game. Williams is ranked 5th in total tackles this season with having made 24 so far. The most he racked up in a single game this season was 7 tackles against the Bengals. He has been very productive on special teams. 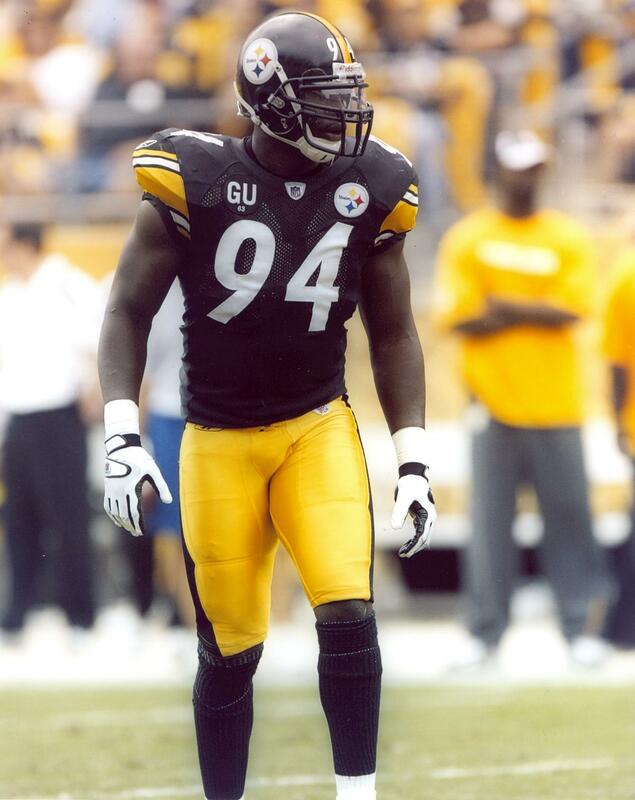 Garvin hasn’t had many tackles, but his presence is certainly known though on special teams. Against the Jets, Garvin nearly blocked two punts. Playing on special teams, is the reason Garvin is on the 53 man roster. Bell is our leading rusher this season. For the first time ever with the help of Bell, the Steelers ran the wildcat. That shows complete trust in the rookie’s ablility. Great vision and size will be the key to Bell’s success. A friend of mine stated that Bell likes to keep his legs moving and he falls forward. 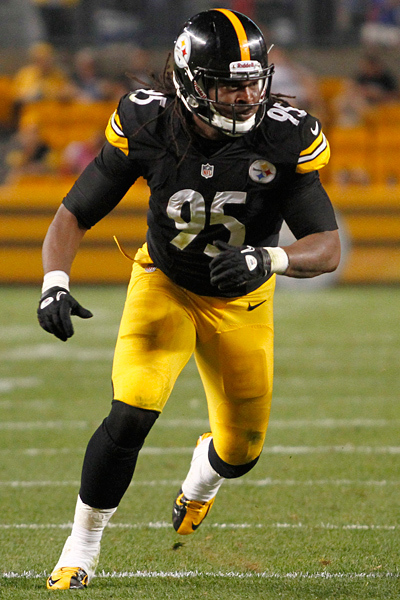 So what has this rookie class done for the Pittsburgh Steelers? Well it is simple, they have put their hearts into the game to give it their all and they have made us cheer them on along the way. What a draft class this truly is, and there is much more potential to be seen. You will notice that there are some rookies that I haven’t mentioned. These gentlemen did not make my list, because in my eyes they haven’t quite made a significant impact yet. However, give them time and they will be on the same level as those from their class who have been mentioned. Take Markus Wheaton for example, when he is healthy he will be a star! This draft class will be talked about for decades regarding how well they played. They will be known as a badass rookie class. I think GOD this is just for fun and no money! Out of the years I have picked teams to win, last week was my worse ever. So, only one way from here and that is to get all games right. Should I think that way? Finally, I did good last week. This week there are some tough games. I was thinking very hard about the Seahawks Vs Cardinals, Rams Vs Panthers, 49ers Vs Titans, and Vikings Vs Giants. I don’t think either of these games that I mentioned will be a blow away. 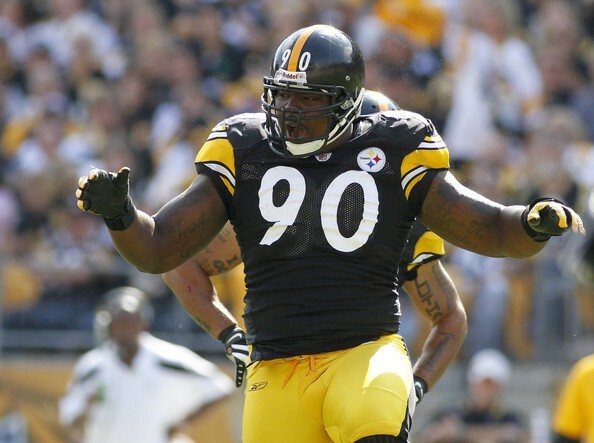 One thing for sure this week, Steelers will beat the Ravens. I didn’t pick the Cardinals because of Carson Palmer. I think the Rams have a better defense that will contain the Panthers offense. Chris Johnson will play the tough defense of the 49ers but I feel field goals will make the difference in this game. Low scoring probably will be a 13-9 game. Josh Freeman will make his start against the Giants. The Giants don’t truly have a great team and I feel Adrian Peterson will have a field day. Can somebody help me and some experts on making the picks? Ok, I am kidding but what a strange season this has been so far. This has been a bad season for me. However, I truly think this is a easy week and this should get me back on the winning track. OK, Let’s do this!!! Let’s win games!!! Back to Back weeks underdogs has won games! This year is crazy for the NFL because of upsets. 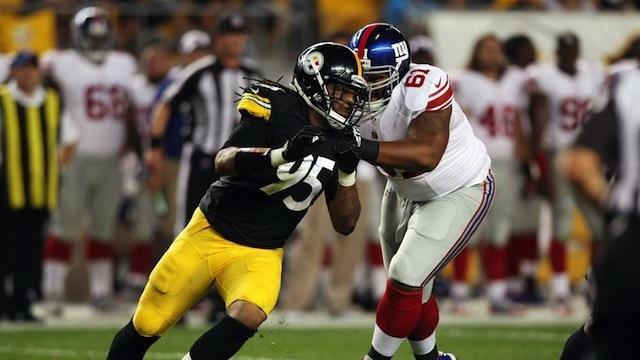 Who would of thought the Steelers and Giants be as bad as they have been. However, Gaints will get back on track this week and beat the Eagles. I am sorry I posted this late, I did my other two sites and forgot I didn’t do this one. I had the Browns picked in my other two sites beating the Bills because of passion and heart. Who would of thought they would win three games in a row? The only game I am worried about this week is Lions Vs Packers. I just thought the Packers Aaron Rodgers will take this game in his own hands, which will result in a victory. 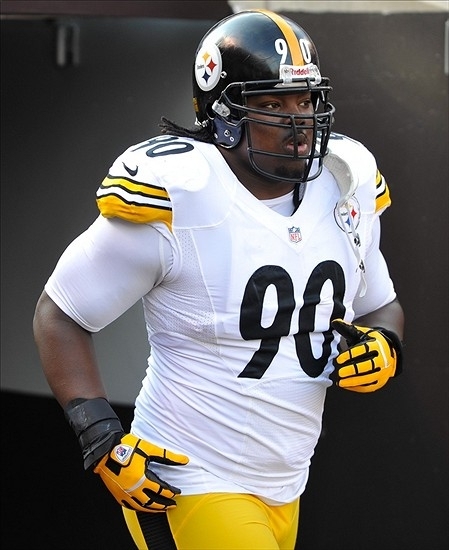 Who is the best player for the Steelers this year? This year’s best Steelers players so far this season. Playing with heart and making big plays. Truly the MVP so far for us! McLendon been able to force runners to cut back into other players which helped us contain Matt Forte 87 yards and Chris Johnson with 70 yards. In the previous two years, McLendon played 30 games. This year already McLendon has more tackles than those two years which he played 14 games and 16 games. A great start for him. As well, he stays with his assignment so we can’t say the big plays have happened because of him. I have watched him get double team just like Casey Hampton. So job well done for McLendon! Doesn’t he look like 21 years old again? Polamalu has done things to show how elite he truly is. I truly love when Polamalu times it right when jumping over the pile. Brings chills to your bones! 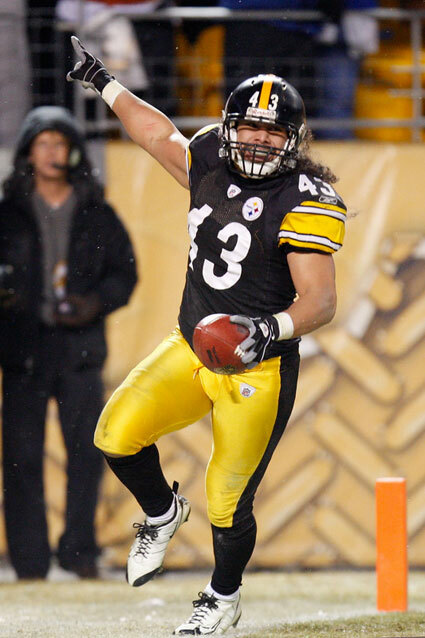 Nobody can say Polamalu is not the face of our defense. The only issue with Polamalu is recently he has been out of place on some plays which could have prevented big plays. Yet, another player playing with heart and I love watching him. I know I will hear heat behind this pick as fourth best. Yet, Cotchery has been the quit assassin. Big plays on third downs were result in Cothery picking up the first down. 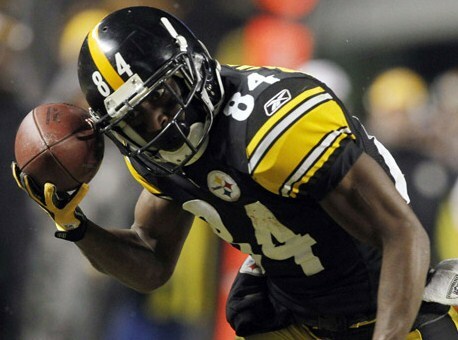 Not the player to show emotions after the catch, so it is easy to forget what he has done for the Steelers. Has 5 catches less than Emmanuel Sanders but does have more yards, average a catch, and two touchdowns. As well been one of our best blockers we have in the running game. Which fans don’t know about, which again results into the quit assassin. Do you hate him this year? Seems no matter what Gay has been the Steelers fans punching bag. However, Gay was suppose to be our Nickel Cornerback but with Cortez Allen getting hurt in the preseason that had to change. Gay started all three games as a starter and has done a good job. Has been able to help stop the run and make stops on third down plays of the opposing team. Against the Bears Gay made a big stop on Forte which made the Bears kick a field goal. Surprise by some of the names you see above? If so, it is my opinion only. What I see though is true talent and heart by the names listed above. They have done their job and assignments. You take Heath Miller and David Johnson for instance coming back from injuries and making an impact the way they have, it shows their heart to win. For Kelvin Beachum who plays Center, Tight End, Right Guard has shown his talents. I am sure I hear why not Ryan Clark? Well, Clark has given up big plays and has even stated that he went with his gut to try to make a play. Which in the end has hurt the Steelers. 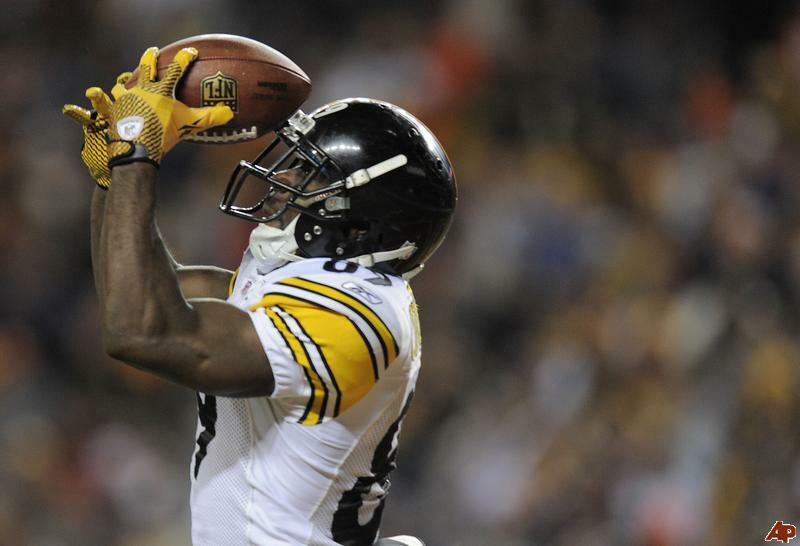 The Steelers players need to stay focus and stay with their assignments. When the Steelers play as a team, they will in as a team.